The place to be to find out what are we doing as a company, what are our projects, aspirations and dreams. Who makes up the team and what are do we enjoy doing in our free time! 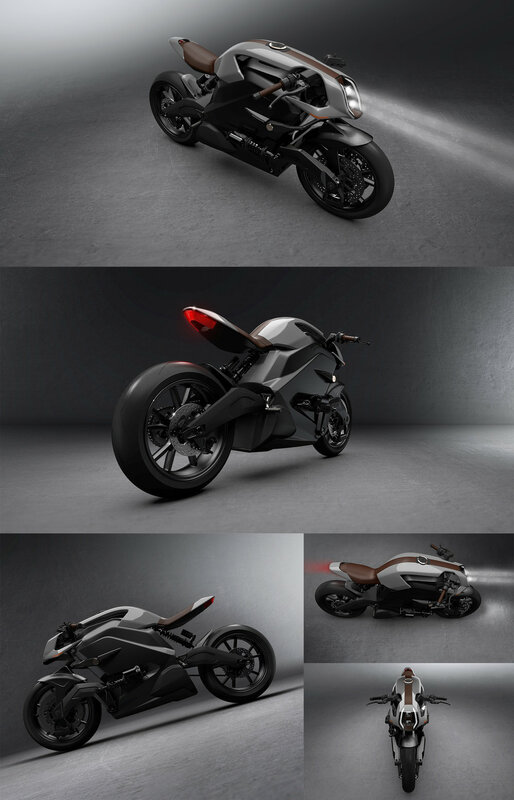 We were very fortunate to be approached by Mark Truman (CEO of ARC Vehicles) to work closely with his own team to help design and develop an exciting new electric motorbike. Mark’s dream was to have the most technologically advanced motorbike of its kind on the market. It all started when Mark was heading up the Jaguar Land Rover’s white space (skunk works) ideas team. This is also when SP-1 Design and Mark originally got to work together on one of their many exciting non-automotive projects. When it came to ARC vehicles 1st project, Mark contacted us to continue our relationship and aid them to style and develop his vision. The development of the battery casing was in its infancy and we worked closely with ARC Vehicles and Delta motorsport to do our best to visually reduce the bulk of this unit. Once the basic package was established, we quickly got to work on putting together a series of concept sketches to gauge the design theme that best visualised the project intent. This initial sketch phase was all that was required to nail the favoured concept to push forwards with. From here we were working closely with the ARC team to aid package refinement with an eye to helping the styling. In many ways we were styling to our client’s vision. Straight from the get-go we had started to get volume surfaces into Alias. A lot of the design from then on was very much in 3D. Arc wanted the fastest possible route to a show bike and didn’t have time or budget for a clay model. One of the biggest challenges was, due to the integrated flow nature of the top panel we had to consider the design from nose to tail all in one go. The headlight had to seamlessly blend into the effective tank which then blended into the seat and tail with a constant flow. Once these were fix we were then able to look more closely at the finer details of the light internal details as well as the little bits of jewellery. One of several wheel proposals. To aid our own styling development we decided to utilise our in-house rapid prototype machines, so we could gauge real world volumes. With these we were able to offer them up to a mocked-up battery housing. From here we were able to refine the design further with the show bike build in mind. The full project for us was quite intense spanning a period of 18 weeks. Seeing the bike in Milan at the EICMA 2018 show was a proud moment for the team. It looked even better in this environment than we could have ever expected. We look forward to being part of the next stage of the ARC vehicles story, aiding the road to production. SP-1 Design proudly sponsors City of Coventry Freeman's Guild Apprentice of the year awards 2017. 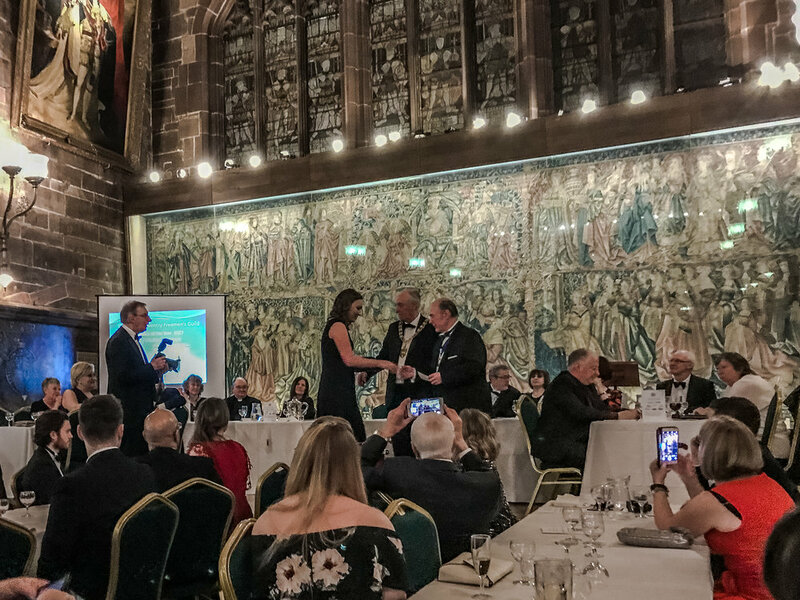 We are very pleased to have been one of the proud sponsors of the City of Coventry Freeman’s Guild Apprentice of the year awards 2017. The awards aim to high light young people who have shown exceptional ability in their chosen apprenticeship and whose achievements will inspire others. The awards are split into 3 categories; apprentices who work for a small/medium sized employer, those you work for a large employer, and then a unique endeavour award, which is a discretionary award for exceptional achievement, for example overcoming hardship or adversity through a difficult challenge in life and/or through civic participation or voluntary work. The finalists are then invited to an awards dinner that took place on Tuesday 23rd January at the Guild Hall of St.Mary’s Coventry. It was inspirational to hear these young individual’s biographies and stories and a great night for all that attended. We wish a huge congratulations to those that won. Congratulations for all winners and nominees and we wish you all the best for your futures. We are proud to announce that SP-1 Design has moved to a new facility. We are now based in Warwick and with the new studio we are able expand our capabilities. Offering a complete design service from Concept ideation through sketch and clay modeling as well as our industry leading digital surfacing. We also have the latest in rapid prototype FDM technology with our Stratasys F370 on site to handle fast turn around high quality prototypes. So please don't hesitate to contact us regarding any design based requirments you may have. For the 3rd successive year we are proud to be supporting the Coventry University Industrial Design students as they approach their final year degree show. We wish all the students the best of luck in their final push to show off their best work to the industry and public, and we look forward to seeing you all on the industry night. Technological advances are always moving forward in the motorcycle world; be it clever GPS controlled active suspension or wheelie control, here are a few observed tech trends from the EICMA show. As highlighted by the 1408 Ducati Superleggera and BMW HP4 Race, Carbon fibre has been adopted in the construction of the frame and swing-arm, along with parts of the sub-frame. This not only decreases the overall weight of the bike, but also lowers the centre of gravity of the bike, in theory bettering the handling of the bike over a bike manufactured with conventional materials. Left to right, BMW HP4 Race, Ducati 1299 Superleggera. TomTom was showcasing their mirror-mounted Sat Navs which mount to the existing mirror arms of bikes and scooters. Not only looking stylish and minimal, the Mirror mounted sat navs are placed in a position which is easier to view whilst riding, rather than looking down at a tank mounted navigational system. Throughout the show there was extensive use of L.E.D's used as the main lighting source. This allowed manufactures such as Ducati, KTM and Husqvana to experiment with their light design. Due to their composition, LEDs lend themselves to be more adaptive to design, allowing for complex shapes to be achieved whilst improving light output and efficiency. A start-up company, Impluse Drum Chargers, were showcasing their new 'supercharger'. the supercharger is designed for smaller engined motorbikes, giving them a higher power output and better fuel economy. The Drum charger uses Exhaust gas to power a flexible diaphragm, which compresses cold air forcing it into the engine, however, unlike a turbo, there is no lag, and works as soon as the motor is started. In the last few years, hybrid and electric technology, has become the latest trend to hit the automotive sector, with most of the major manufacturers and many new tapping into this clean and advanced future. The bike industry is slowly dabbling in this trend with what feels like a big air of caution. Very few of the major OEM’s appeared to be pushing electric bikes at EICMA.A lot of the recent development of battery technology seems to have come from small start up companies. There were numerous electric scooters which are well suited for electric power. The wide variety offered everything from retro looking scooters to the ones that clearly showed off their eco friendliness and innovativeness. From top to bottom, Askoll ES2, Vespa Elettrica, Schwalbe Scooter. Some of the scooter manufacturers also offered a glimpse into their motorcycle endeavours with the Super Soco bike and KRC Motors Evoluzione. The Super Soco bike had one of the more interesting design with fairings fully covering the battery giving it a clean, futuristic look. Top to Bottom, Super Soco 1200r, KRC Motors Evoluzione. 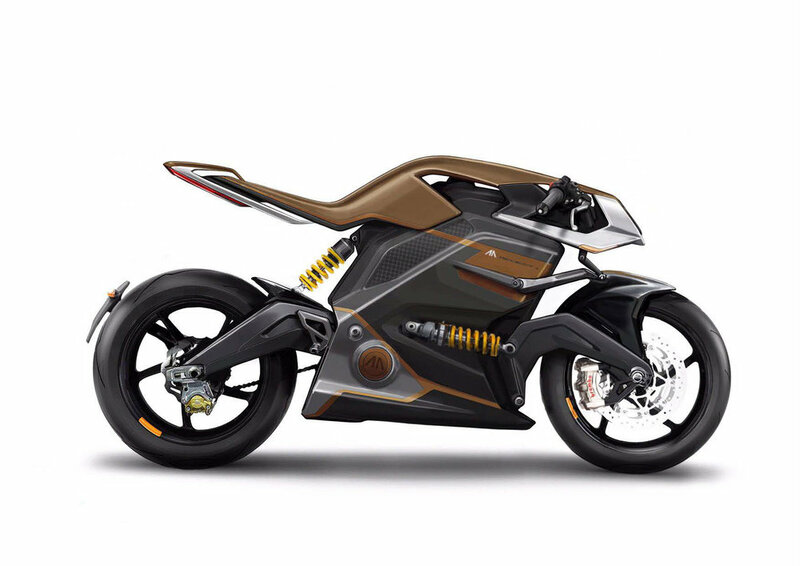 Two up and coming electric motorcycle brands, Energica and Zero, unveiled their new lines at EICMA 2016 however design has not changed significantly from the previous year. Energica’s Ego sport bike and Eva street fighter were the latest models from the Italian brand. Apart from the lack of exhaust pipes it’s not instantly obvious that these are electric bikes. The fairings cover more area than ICE bikes usually do but some of the battery is still exposed partly for cooling and partly to display it’s electric heritage. Energica Esse on the other hand loses all of the lower fairings to fully expose the battery beneath. Zero also seemed to focus on the internal changes rather than styling for their new models apart from introducing new colour choices. Another electric bike manufacturer Brammo, recently bought by Polaris, also stuck to their old design this year. Proudly showing off its battery the bike is instantly recognised as electric. The SP-1 team hit the EICMA Motorcycle show in Milan last week. It was a fantastic show with plenty of great new products. Here is a brief of some of the designs trends that we picked up. All around the show there was a huge lean towards the retro-custom vibe. BMW rolled out several RNine-T bikes in multiple specs. Some had an authentic scrambler vibe with knobbly tires and long travel suspension, others with classically style aerodynamic cowls and streamlined tail units. Manufacturers were keen to show the versatility of their modern retro offerings and most did this very well. From top left, clockwise, BMW R NineT racer, BMW R NineT Urban GS2, Triumph Thruxton R, Ducati Scrambler. We also saw classic colour schemes and palettes re-imagined. For example the Ducati Scrambler wore the John Player Special gold and black combo pretty well. Yamaha brought a moody gloss grey and red Abarth badged bike as their first factory built cafe-racer offering. We saw bikes from all segments sporting large polycarbonate screens this year. The extreme, often Dakar inspired, offroad bikes took a utilitarian approach, often with no attempt to doll up the mechanicals and electronics hiding behind. Alternatively, The Adjustable windshield on the Honda X-ADV Adventure scooter sported a futuristic look with some clean technical surfacing on the mounting bracket. From left to right, Honda X-ADV, Honda Africa Twin concept bike, Aisawing LX450 Enduro. It was good to see the lighting technologies from the rest of the automotive sector continue to filter through to the two wheel market. We saw ‘U’ shaped DRL’s on lots of bikes. Angular, friendly, aggressive, it seems to be a very versatile light graphic. Not all bikes were sporting LED technology just yet though, it feels like cost and packaging constraints are still a prohibiting factor here. There is a definite trend towards creating an interesting vibe by using selective frosting on the lenses, giving a warm glow and adding depth and creating interesting details.. The KTM SUPER DUKE sported a jewel-like headlight unit encased entirely in a clear plastic housing. The strong sharp graphic shouts KTM. Next door we saw Husqvarna with a typically scandinavian feel - simple and minimalistic round light graphics with text inlays. From Left to right, Husqvarna 401 rear light, Husqvarna 401 headlight, KTM Duke head light. Watch this space! SP1 has a growing list of Charity Events coming up this year, including Wolf runs. X-Runner events, Marathons and many more. Feel free to sponsor us or join us on these events! We have a Team of 5 ready to hit the first event 16th April 2016! Fun filled weekend of Motorcross for the SP1 Team! Not only are we passionate about automotive and motorcycle design but we regularly get out and push our limits at the track! This weekend it was motorcross! Excellent day out and it only ended with one blown up engine and a potentially broken arm! Well worth it for the photos though!